Launching this fall, Smart As is a social brain-training experience that will put your brain to the test with 20 unique, engaging, tactile and highly interactive puzzle games. This next-gen puzzle game will also enable you to share your stats with players from around the world using a robust set of social and connective features. Produced by XDev Europe, Smart As takes full advantage of PS Vita’s touchscreens, cameras and Augmented Reality capabilities to deliver Daily Training challenges featuring fun arithmetic, logic, language and observation-based puzzles. Your scores from each puzzle are used to calculate your overall Brain Power and anybody at any skill level can get in on the fun. The more you play, the better your chances are of increasing your Brain Power score and unlocking new puzzle games. 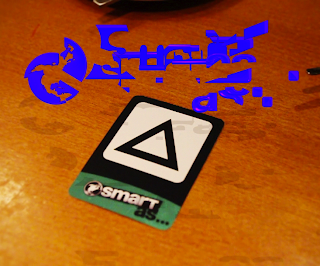 The best part about Smart As is that it’s not just a brain training game; it’s a social experience. Once you’ve earned your daily Brain Power score, you can go online to see how smart you are compared to your friends, people that you’ve met through “near,” players in your city, country, continent and the entire world using the Smart As leaderboards. You can even post your Brain Power scores to Facebook to boast about your cerebral superiority. Using PS Vita’s “near” feature, you can also drop off puzzles for nearby users and pick up new challenges left by other players. When you play Smart As on the go using PS Vita’s Wi-Fi and 3G connectivity, you’ll have the opportunity to unlock even more challenges in different regions with the Street Smart mode. Simply by competing in as many regional challenges as you can, you will get to prove that you are smarter, more travelled and better connected than your friends. Let us know what you think of Smart As in the comments below!